Thanks for the updates! A lot of positives going on around the neighborhood, but the apparent uptick in gun shots is very concerning. And the report on the Capper Seniors building is still head scratching even after a few days to digest it. It’ll be interesting to see what (if anything) happens now that Edgewood’s incompetence and negligence have been established as well as DCHA’s sub standard (non existent?) oversight. Sadly, given that these shortcomings were pretty well known before this tragedy, I’m a little pessimistic that any lasting changes will be made. But hopefully this report will finally get the right folks’ attention. well put @conngs0 something really needs to be done about both, here is hoping some action is actually taken! The police woke us up at 2:45 am this morning (February 7th) to positively identify my husband as the owner of a Cadillac Escalade parked at the corner of 3rd and L SE that had all 4 wheels stolen. The police were alerted by a Lyft driver who had dropped someone off on the corner some time before. The car was already stripped and on crates, so there isn’t a description of suspects. If anyone has any additional information, please contact the DC police as a report was filed. 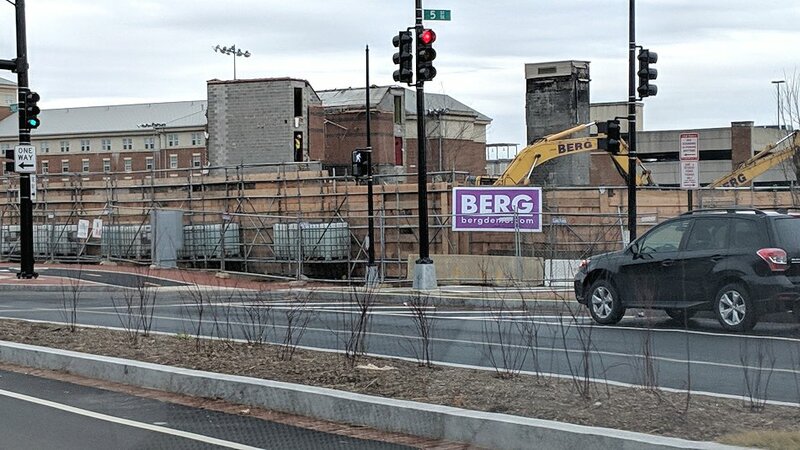 Cruddy photo thanks to not being quick enough on the draw before the stoplight changed, but here is all that is left of Capper Seniors. (I *think* I read that they are keeping the concrete staircase/elevator towers and will build the replacement building around them.) Guess I have another entry for the Demolished Buildings gallery. Did any of you win the El Bebe opening night contest? We're lucky winners! I'm looking forward to trying this new restaurant. I figure we'll get more of these every couple of months for the next couple years, and then we'll get a new batch of dumb articles about how the Trump staffers used to go to Mission, but the new Kamala Harris staffers prefer old neighborhood standbys like Bluejacket or whatever. No one will mention that the reason new people move to the neighborhood is because that's where a sizable fraction of new units are being built. Hey, Circa, I’ll be out-of-town on the 11th & 12th. Be best and put off that opening night ‘til the 13th. Thanks! Hey, everybody, if I’m interpreting 202cyclist correctly, I think he just invited us all to join him for unlimited tacos and tequila at El Bebe on his grand prize tab! 202, you’re the best! Just to be clear, what date and time? If anyone is interested, there are some great deals today on the TravelZoo site for Osteria Morini and District Winery.